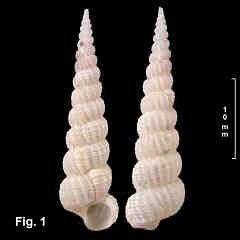 Description: Shell very tall and slender, of up to 15 teleoconch whorls, with varices irregularly spaced every 1-1½ whorl. 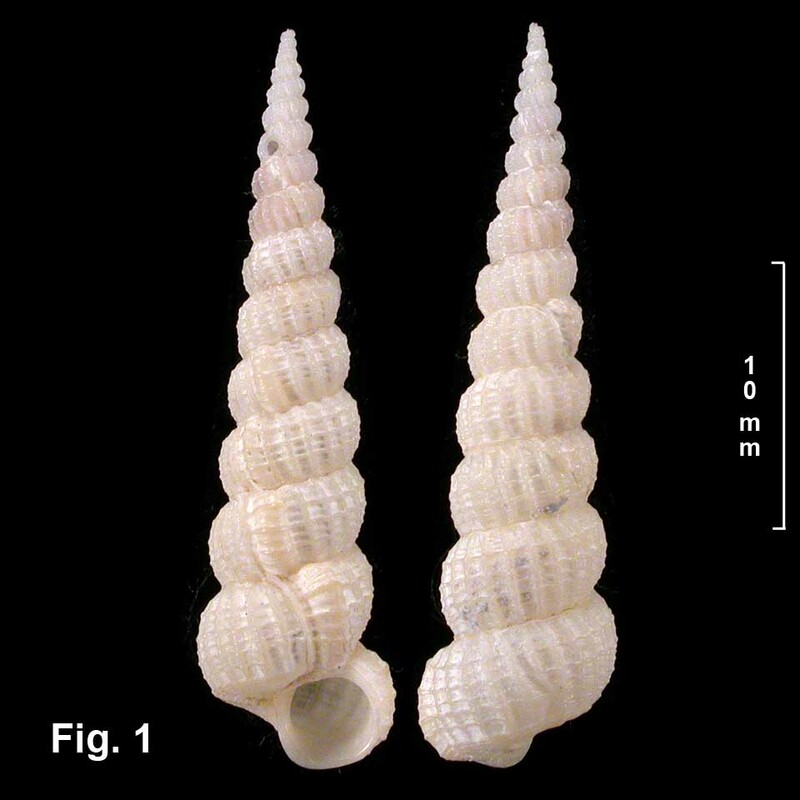 Protoconch unknown. Teleoconch whorls rounded, sculptured with axial ribs. Ribs 17-22 on last whorl, crossed by spiral cords, 6-7 above base on last whorl, forming beads at intersection with axials. Spiral cord level with top of aperture, terminating axial ribs. Base with numerous spiral threads of variable strength. Aperture almost circular; outer lip thickened by varix externally. Umbilicus closed. Colour white. Size: Up to 28 mm in length. Distribution: Australia and Japan. In Australia, Sydney, NSW, southwards to eastern Bass Strait. In Japan, off Kushimoto, Kii Peninsula, in about 250 m (Nakayama, 2003). Habitat: Known from 330-457 m. Rare. Synonymy: Scala flindersi Cotton & Godfrey, 1938, from 300 fathoms off Eucla, South Australia, is very similar and may be the same species.